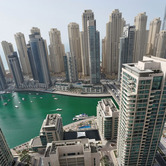 International occupiers of office and industrial space have demonstrated renewed confidence in Dubai, where an increase of new entrants into the region is being added to by current international occupiers that are now looking to expand their commercial space to support business growth. Retail has continued to be the star performer across the commercial sectors with rental growth set to exceed that of the mainstream office and industrial markets in Q1 2014. This confidence in the sector has brought a number of new retailers into the UAE market and this has been matched by multiple announcements of new malls planned for development over the next two years. These include a new collaboration between Tecom Investments and Majid Al Futtaim to build a one million sq ft mall at the International Media Production Zone (IMPZ). 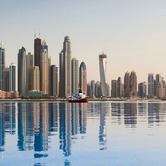 The expectation of landlords across all sectors in the lead up and subsequent success in winning the hosting rights for the 2020 World Expo, undoubtedly fuelled further momentum across the Dubai real estate market where some commercial landlords quite literally increased their quoted rental rates overnight. This resulted in a limited number of deals stalling and is unlikely to have any significant impact on occupier activity. In fact, it has encouraged some occupiers to take more immediate action in expansion, or relocation to try and insulate themselves from further rent increases in the short term. International occupiers new to the region, however often continue to apply "Western" mindsets and business expectations to the Dubai market. Managing their expectations in terms of timing, quality of information, leases, rent negotiation levels, municipality approvals, trade license processes, etc. is a large part of every transaction. These occupiers are often based in more landlord-led markets such as those in Europe, India and the US, where transactional fees are not met by tenants. Although the vacant supply of commercial space across the city remains at an optimum level, international grade A quality space appropriate for corporate tenants can be limited in some submarkets and often comes at premium prices across most locations. An increasing number of non-financial businesses are now interested in registering within the Dubai International Financial Centre (DIFC), which is due in part to the efforts by the freezone to encourage a wider range of business types to register within the freezone precinct that sits in the centre of Dubai. 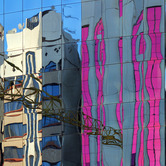 Current occupancy in DIFC owned buildings within the Gate Village and precinct has reached almost 100%. This is forcing occupiers to consider strata-owned space within the zone, which is translating into rising rents, although occupancy rates in some of these buildings remains relatively low. In contrast, the TECOM freezones of Dubai Media City and Dubai Internet City are operating at near 100% capacity across both its own buildings and privately owned stock. This is presenting a problem for established occupiers who need more space but don't wish to change location or freezone license. Other areas that fall under the administration of Dubai's Department of Economic Development (DED) such as Business Bay and the older buildings on Sheikh Zayed Road remain popular for smaller, local occupiers due to the smaller floor plates. 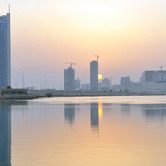 Business Bay was the added attraction of strata ownership, which means that the vast majority of stock available is in the form of smaller units.